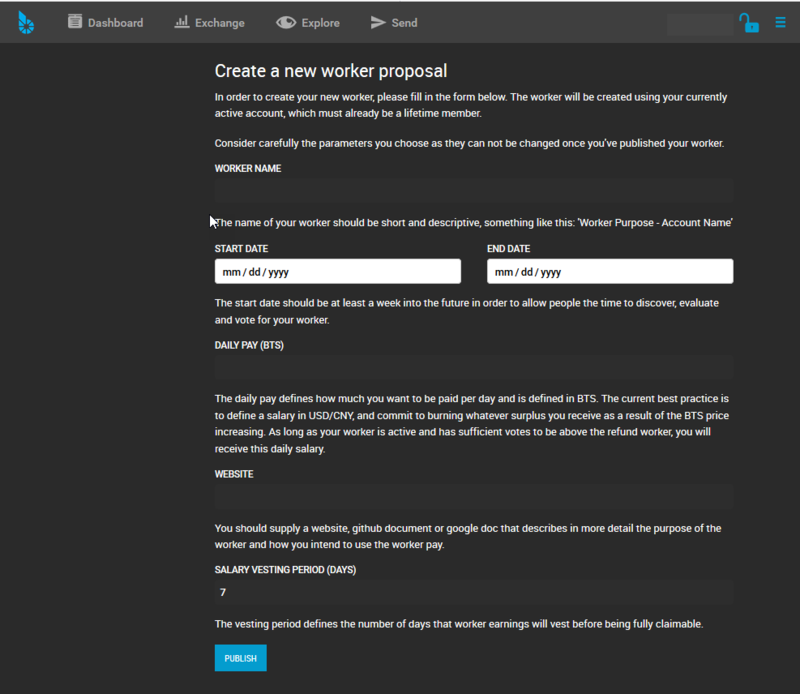 You can create a Worker Proposal by using BitShares UI form. Go to Voting page. There are three tabs: “Witnesses”, “Committee”, and “Workers”. In the “Worker” tab, you will find CREATE A NEW WORKER button. By when will you be done? To actually generate a worker proposal, replace the last false by true . You can check the Worker Proposals by BitShares UI form. Go to Voting page. There are three tabs: “Witnesses”, “Committee”, and “Workers”. In the “Worker” tab, you will find all Worker Proposals list. Voting is important. You have the UI form for voting. It’s very easy to use. Go to Voting page. There are three tabs: “Witnesses”, “Committee”, and “Workers”. In the “Worker” tab, check a Toggle Vote check box and SAVE. You might be asked to login. Confirm the transaction. There is currently a maximum daily worker pay of 500k BTS, and this can be found using the get_global_properties command in the cli_wallet.